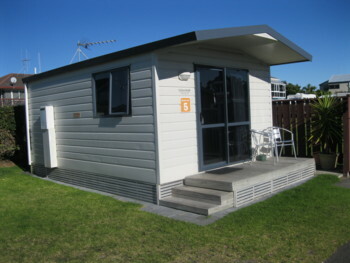 Our Self contained Studio 2 berth unit is the ideal choice when you want all the comforts of home. 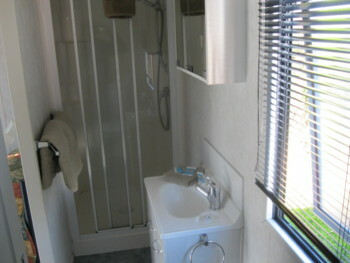 This Unit has one open plan living/dining area, and a separate bathroom. 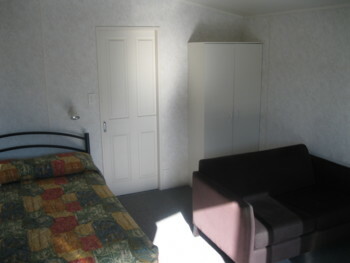 There is one Queen Bed in the main living/dining room, made up with full linen. There is a kitchenette in your open plan living room with a microwave, electric frying pan and fridge. There is also a toaster and electric jug. 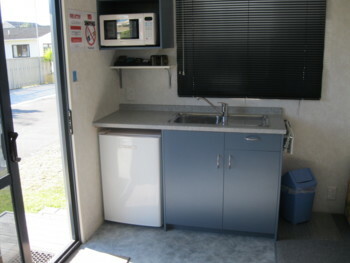 Pots, microwave bowl, crockery and cutlery are also included. Teatowel and dishwashing liquid provided. 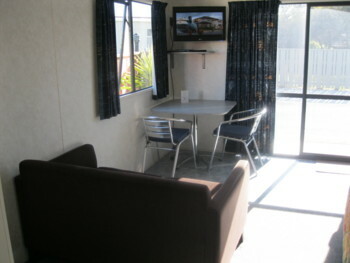 Your living/dining area also has an LCD colour television with Freeview and a dining table and chairs. Your separate bathroom has a shower and toilet. 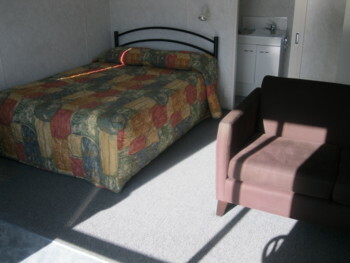 One set of bath towels, hand towel and bathmat are provided. Please bring your own flannels, and swimming towels for the pool and beach.